I tried something new to me with this card: I “colored” the koi fish image with glitter. Using black Stazon ink, I stamped the image onto clear acetate. I flipped it over and applied Glossy Accents and the various colors of glitter. I found it easiest to cut the image before applying the glitter. It sparkles so pretty in real life. 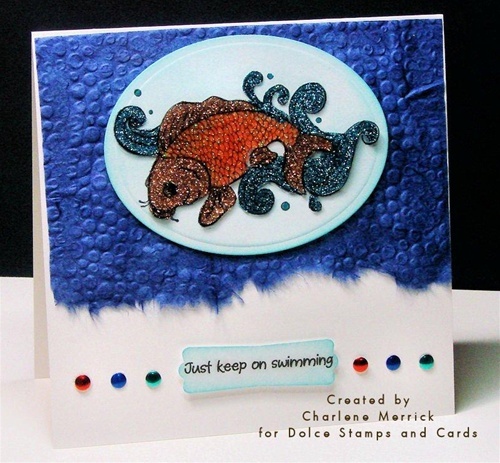 I embossed the blue mulberry paper with a bubbles embossing folder.